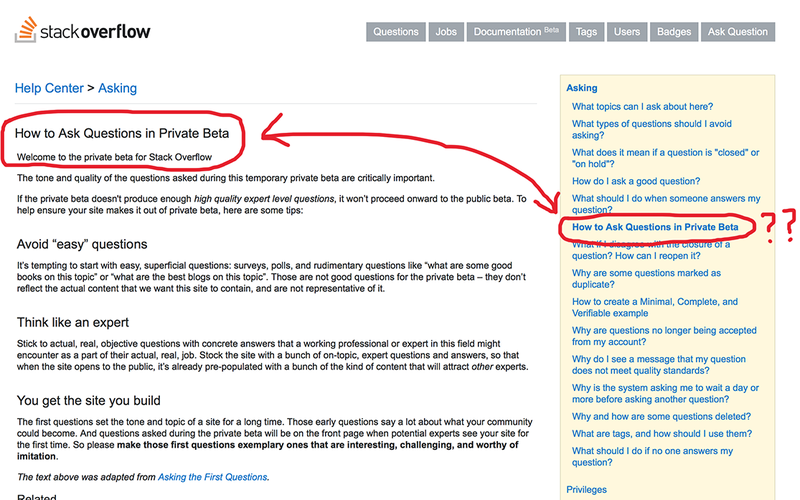 Stack Overflow is not currently and has never been in "private beta". There is another "How to Ask" page, which is the main one that we want people to read*, and we wouldn't want them to get confused and accidentally read* the wrong one. I'm guessing that this is a mistake, and meant to be shown only on sites currently in "private beta" as a replacement for the main "How to Ask" page. * Hah! Who am I kidding? We all know that nobody bothers to read all of that text! How does one improve the Help Center documentation?